The wholesome Bruhz of Omega Psi Phi Strike AGAIN! The University of Miami recently hosted its 26th annual Greek Extravaganza Showcase featuring fraternities and sororities from schools across south Florida. This year the overall theme of the performance was famous record labels. Coincidentally, the show also fell of Good Friday. 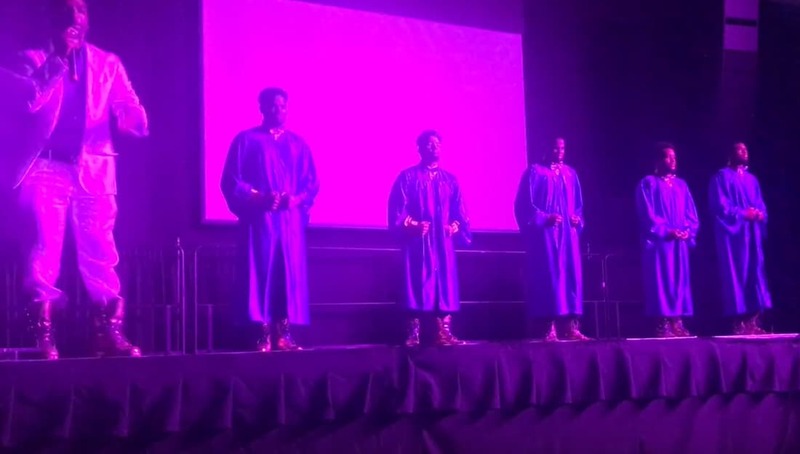 It was a unanimous decision by the men of Omega that they would chose GospoCentric as the record label and perform a “Kirk Franklin and the Ques for Christ” hop show.